Three years ago, in 2013 Sony introduced a 13.3 inch prototype E Ink notepad with touch interface and a stylus pen. The device can store PDFs and also functions as a notepad. Dimensions are: 6.8mm thin 358g 4GB memory microSD expansion Wi-Fi connectivity. The 1200×1600 resolution E Ink screen (called Digital Paper) is just like an A4 sheet of paper, with the ability to write directly onto ebooks. Very thin, with ample screen space, the device was released in the US in May 2014 at $1,100. This e ink notepad has a 16-level greyscale e-ink ‘Mobius’ display that replaces glass with plastic to reduce weight. Optimized to accommodate 8.5” by 11” documents, annotate documents, create “sticky notes” and highlights, with high contrast display, no backlight, low power consumption, up to 3 weeks on a single charge, lined notebook for taking notes. Supplied accessories include: Stylus Pen, AC Adapter, USB Cable, Sleeve Case, Warranty Card. Sadly this e ink notepad only supports PDFs. That’s it. The resolution is nice on this full-size PDF reader, and PDFs are a pleasure to read. But there’s no apps, so you can’t check email or browse the internet, for example. I think that Digital Paper needs to come down in price and increase the number of the formats supported, as well as include apps. Now in 2016, Digital Paper E Ink e-reader/tablet hybrid is available to buy through the licensed Sony resellers at “only” $799.00 U.S.
You can also use it as a notepad, using the stylus to write. You can sync your notes via the cloud to be able to access them anywhere. One other potential use is for sheet music – the display is large enough to create an appropriate distance. The company has made it clear that the device is mainly for professional and student use, including law, entertainment. The device may be highly relevant to professionals overwhelmed with paper, who generate large quantities of documents during routine operations. Sony is not offering customer support for this device and it will not be shipping to addresses outside the US. Sony has lost Amazon’s Kindle in the ebook market, but will it will in the e ink notepad market? 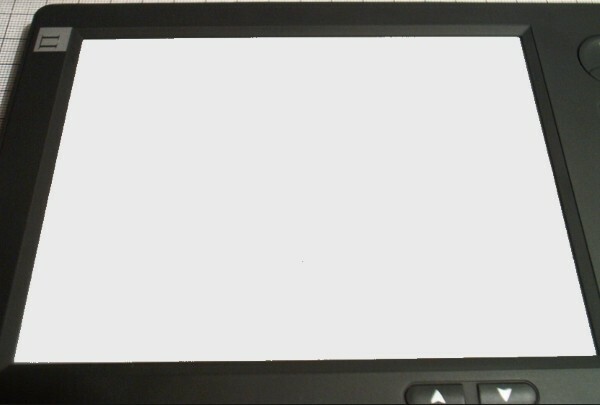 The $99 NoteSlate E-Ink Notepad introduced in July 2011 uses an “e paper” for drawing and writing on a tablet surface. The NoteSlate has only three buttons: save current screen, show last screen, and delete current screen. Battery life is 180 hours. It has Wi-Fi, SD storage, mini USB and MP3 playback. NoteSlate SHIRO can be ordered now from the official website. New pre-orders will ship in April 2016. NoteSlate is suitable for reading books and making notes on top of the text. It has a durable magnesium body, sustainable and lightweight. The 6.8-inch E Ink Pearl display has 1080×1440 pixels resolution and 16 level grayscale. This e ink notepad has an adjustable backlight. Other technical specs: Freescale SoloLite @1GHz + GPU, 8GB up to 32GB memory with SD card, Wireless 802.11 b/g/n, Bluetooth. Dimensions: 126mm x 175mm x 10mm. In Jun 2015, Netronix 13.3″ E Ink notepad was still waiting for mass production brand partner. The notepad has a 13.3 inch E Ink display with 1200*1600 pixels Touch screen. Other features: handwriting input, build-in notepad, selectable background and ink mode (brush/pen/pencil ), Android 4.0.4 and Li-polymer battery.